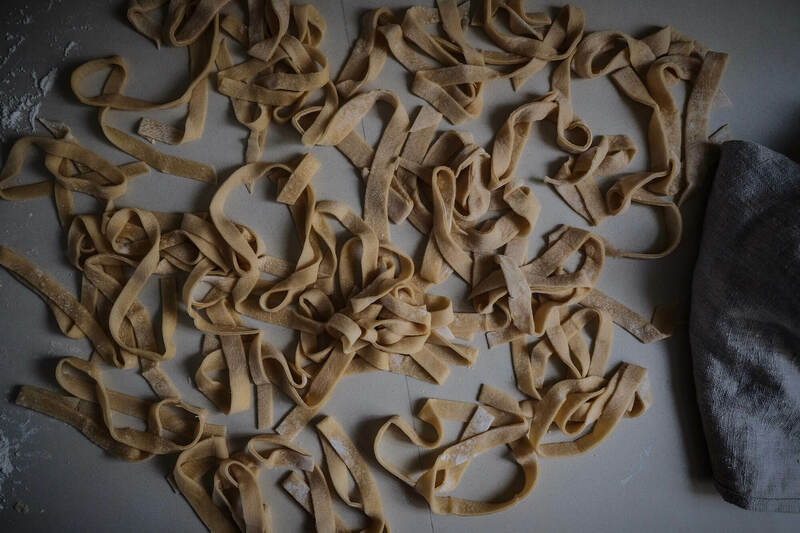 Homemade tagliatelle, it can’t get any fresher than homemade pasta and it’s so easy to make, especially tagliatelle which is quick to make and easy to cut. 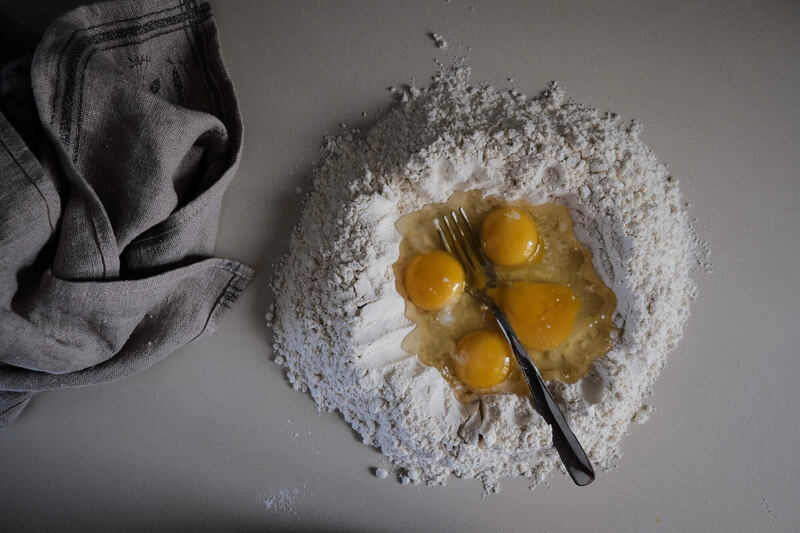 The only thing you need is flour, eggs and some patients with kneading, rolling and cutting the dough but it’s worth it when you see and taste the result. It tastes so much better when you do it yourself! 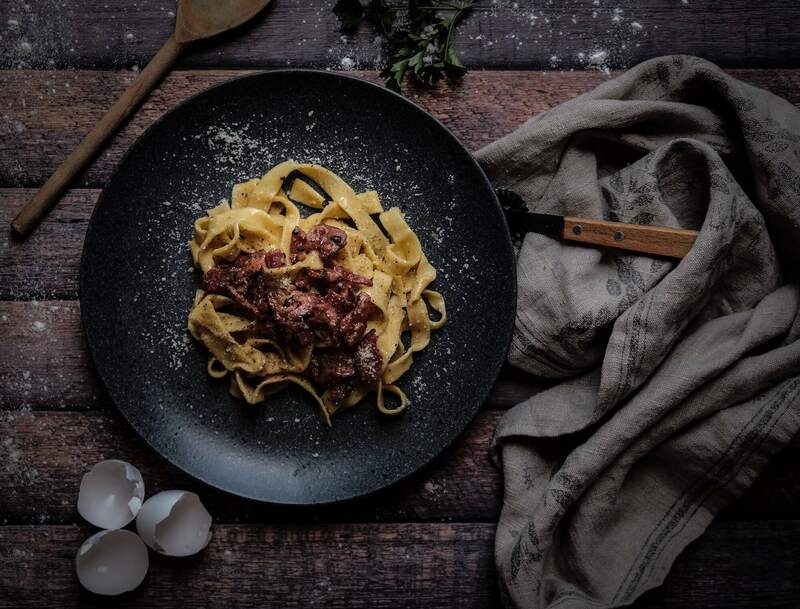 Summary: Homemade tagliatelle with carbonara, a delicious and easy recipe to make your own pasta at home. Fast to make and tastes so much better than the ones you buy in the stores. Shape a volcano with the flour and make a big hole in the middle where we gonna put the eggs. Using a fork, beat the eggs lightly until mixed together. 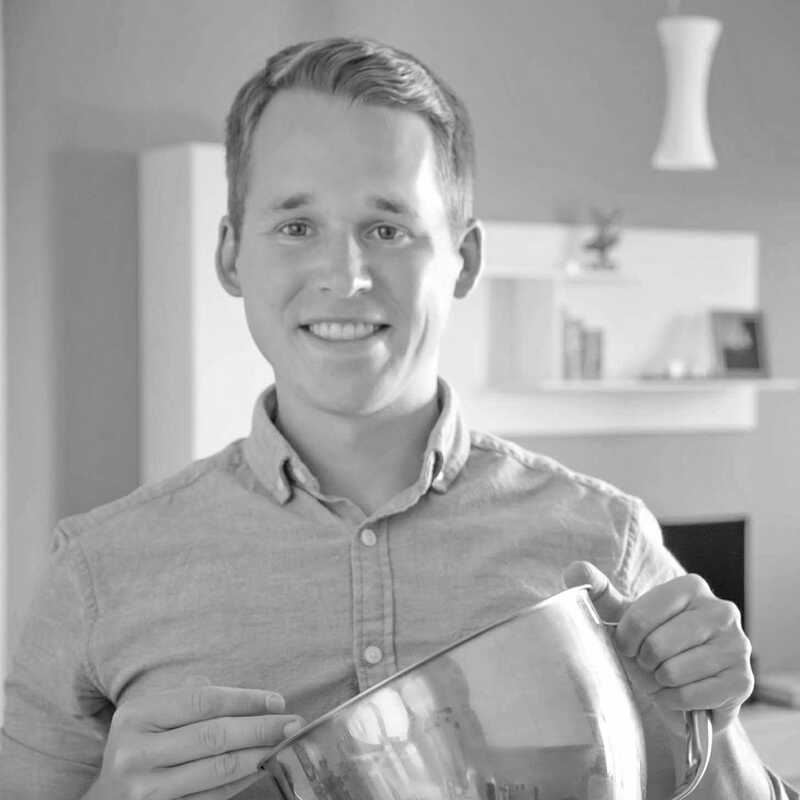 Now you start mixing in some flour at a time using either your fingertips or the fork. Keep mixing until you get a nice and smooth dough that’s not sticky. Knead the dough for around 10-15 minutes. Cover it in plastic and let it rest for around 30 min in room temperature. Start rolling out the dough on a floured surface using a rolling pin. This takes some time, if your dough breaks you can just try to patch it and continue carefully. The pasta sheet should be around 1mm thick so keep on rolling! When you feel it’s thin enough you put some flour on the top of the pasta sheet and then roll up the dough. Cut 6-7mm wide strips using a knife. Boil for around 3 min and enjoy your homemade pasta! For the carbonara, heat a pan with olive oil and put the crushed garlic cloves in the pan for a few min, until golden. Remove the cloves and add the sliced pancetta. Add the white wine and let it boil away. In a separate bowl, mix together eggs, cheese, parsley and some black pepper. Mix down the pasta in the bowl and add the pancetta and serve right away.